Although controversial in its day, who doesn’t love Prince’s song, Raspberry Beret? When the song was first released I had a friend who wore a raspberry beret that she got in a second-hand store. We were young, cute, bohemian girls enjoying the slightly off-center side of life. To this day every time I eat raspberries, I think of the song and my friend in her raspberry beret. Innocent love is like a raspberry. It’s sweet and tender but doesn’t last very long. However, the sweet tenderness makes us go back for more. That’s because like love these little red morsels are packed with “good stuff” that nourishes the body, the mind, and the soul. According to ancient records, raspberries are native to Asia Minor and to North America. However, it was the Romans who were responsible for spreading the raspberry seeds throughout Europe. Not only a delicious fruit, raspberries were believed to be medicinal. The raspberry has been shown to have antiviral, anticancer and antibacterial qualities. The leaves of the raspberry plant are used to make a tea that minimizes childbirth pain, helps to control diarrhea and is used as a mouth wash for sore throats. But the real value is in the high vitamin C content which makes it a great antioxidant. Raspberries are a rich source of these anthocyanins (antioxidants) which have been shown to lower the risk of heart disease and delay the effects of aging. Your mother may have told you to eat your carrots to protect your eyesight, but studies have shown that eating three or more serving of fruits per day, specifically, raspberries are important for lowering age-related macular degeneration- the primary cause of vision loss in older adults. In early European/Christian art work raspberries are used to symbolize the flow of blood which runs from the heart and carries love, nutrition, and kindness to the body. Raspberries are also a symbol of patience. It takes two years for a raspberry bush to produce fruit. Likewise, we must be patient as we cultivate our endeavors waiting for the proverbial fruit to ripen. Like raspberries’ cousin the rose, we are reminded to be gentle and loving with one another it is only with care and gentle touch that the raspberry yields fruit. The raspberry reminds us to slow down and savor all that must occur before, during and after the fruits of our labor arrive. Why do you need a raspberry beret? It is a symbol of innocent love, patience and good health for the body, the mind, and the soul. Here is an easy dessert idea that is sure to make you sing! 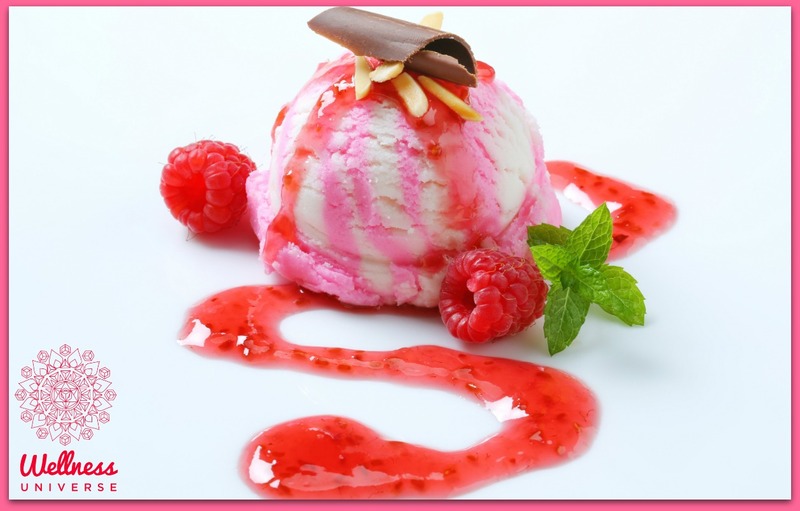 Serve over the top of gelato and you have a raspberry beret! 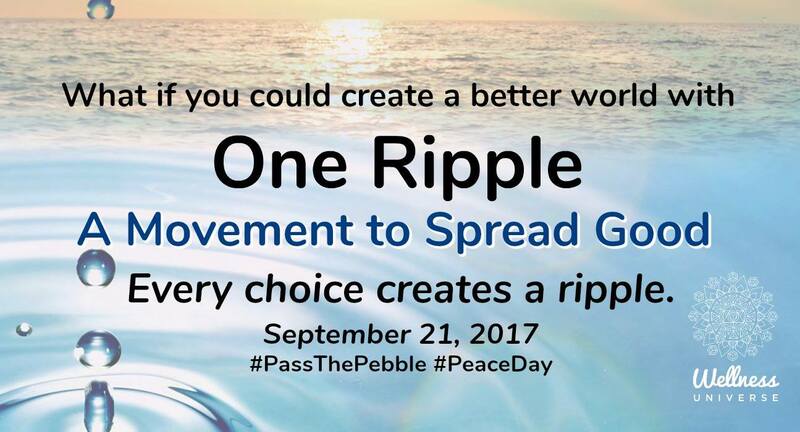 Join The Wellness Universe on September 21st, 2017 honoring U.N. International Day of Peace by joining the One Ripple movement. Let’s use social media to create something beautiful, together!